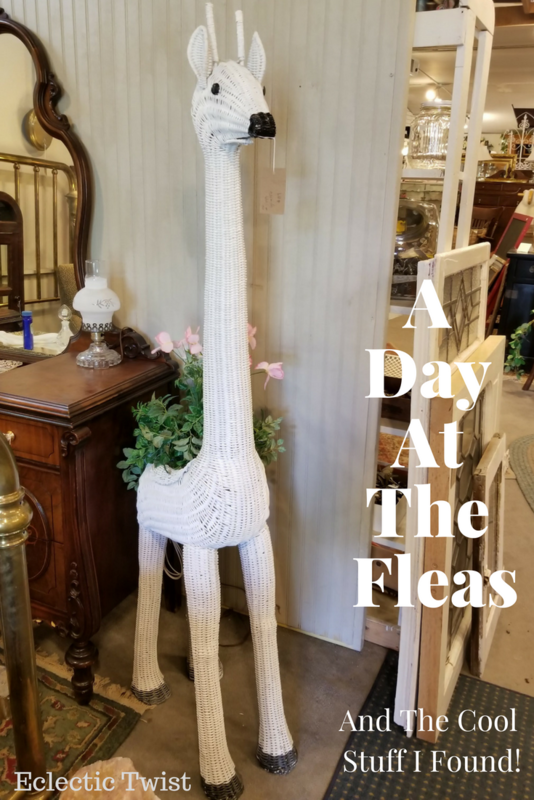 A Day At The Fleas…and The Cool Stuff I Found! I took my family to the fleas. I know, that’s insane right?! Dragging 4 kids and a husband to the fleas. What was I thinking? 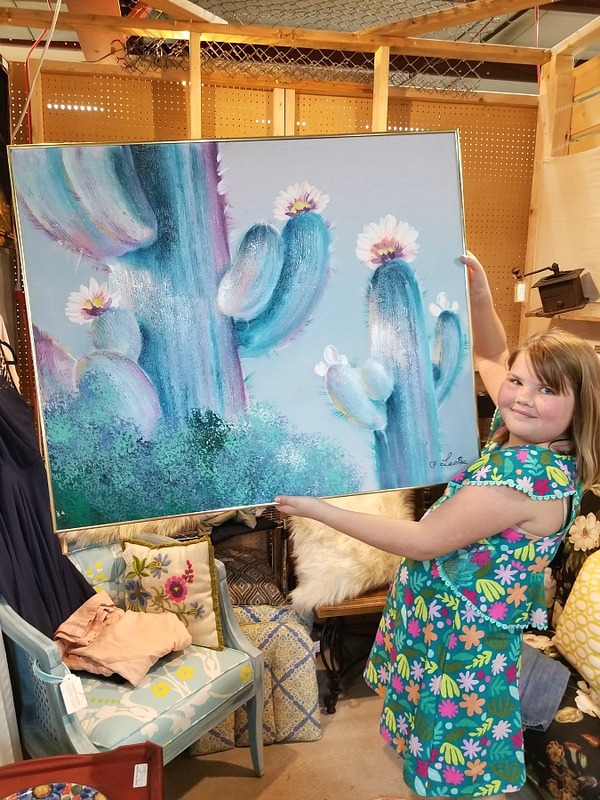 I want them to see the value that flea markets provide so I bring them along every now and then. And I wanted to bring you along too because it’s SO much fun! 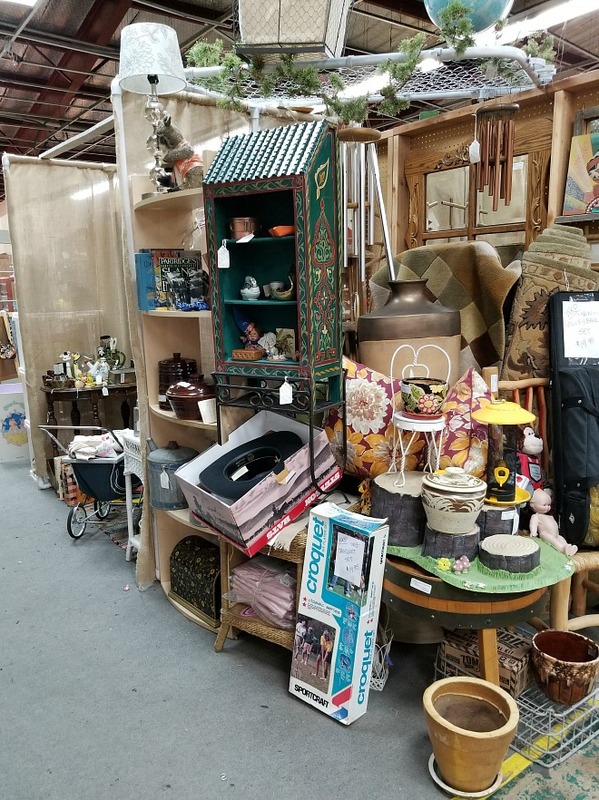 You never know what you will find and what kind of amazing pieces you will go home with. 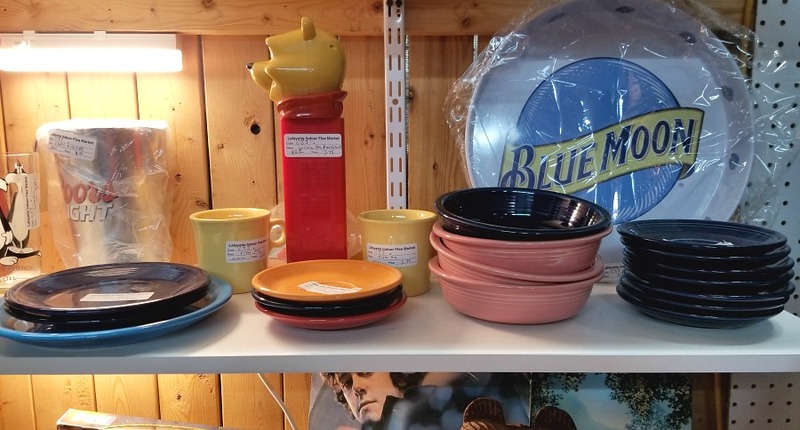 It’s one of the best ways to find interesting pieces on the cheap. 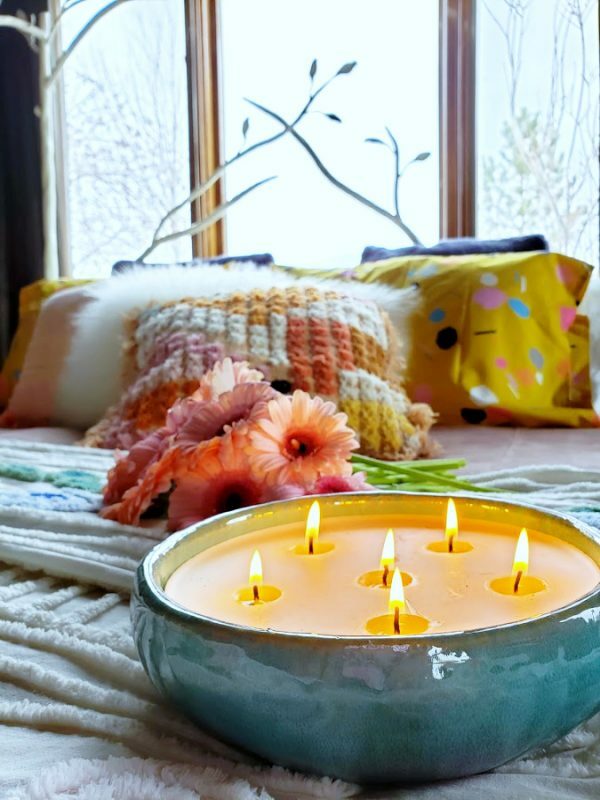 (check out my post on adding personality to your spaces here) I snapped a bunch of shots to share with ya so you feel like you were shopping right there with me! It’s one of my fave past times and I have TONS to share! A few of these things I brought home and several I just loved and had to share with you. I mean who wouldn’t love a mini tour of the world by visiting Japan, Mexico and Africa all in one day? 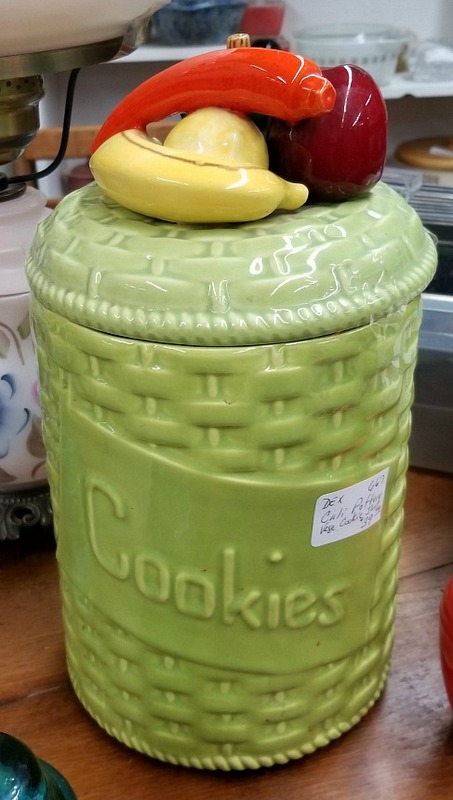 This was just hilarious as it’s a cookie jar but the top has fruits and veggies. My daughter and I had a chuckle over it. Like maybe filling it with carrots and people expecting cookies. This could be a cool DIY project too! 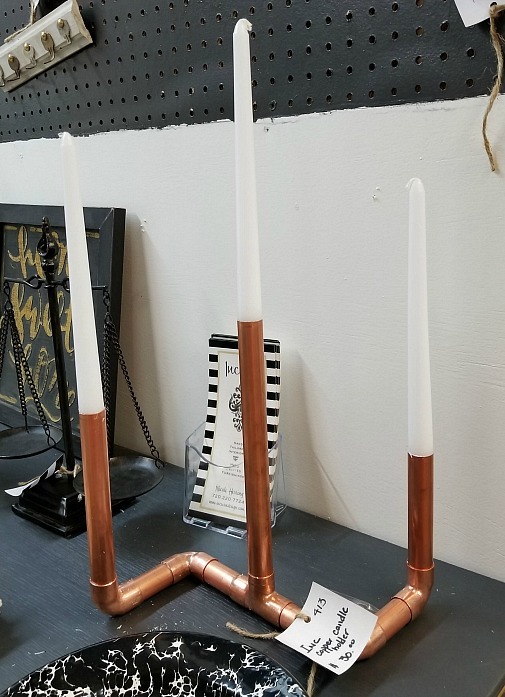 A few pieces of pipe and you have a very industrial sleek modern candlebra! Here was a booth filled with vintage toys. My kids particularly loved this one! 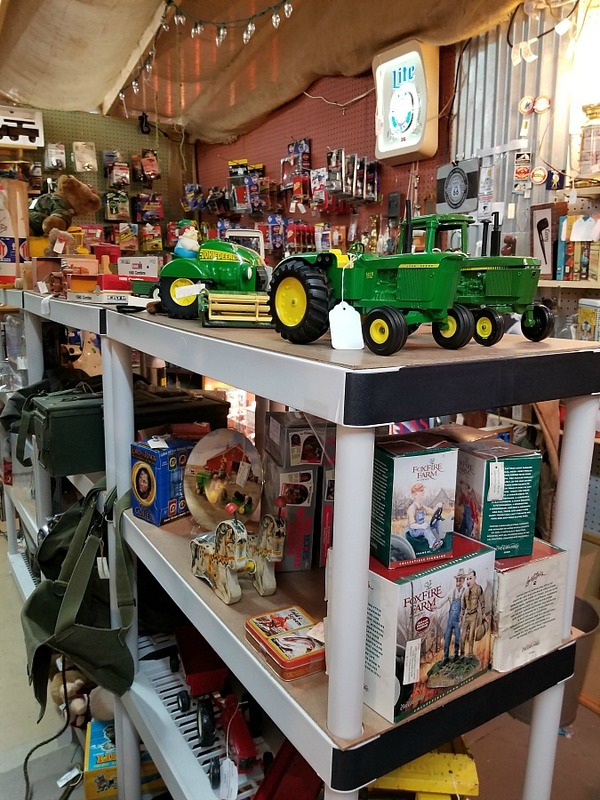 Everything from John Deere to sports to Barbies. 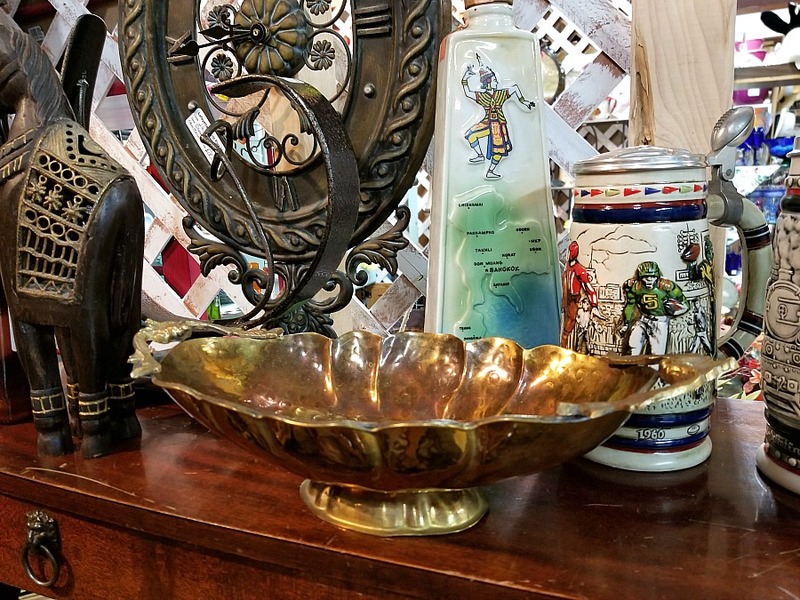 A cool old brass bowl with beautiful detail handles and gorgeous patina! Perfect for those random keys or even to catch that jewelry or loose change at the end of the day. Tons of awesome glassware was found but this was beautiful if you are a glassware collector. 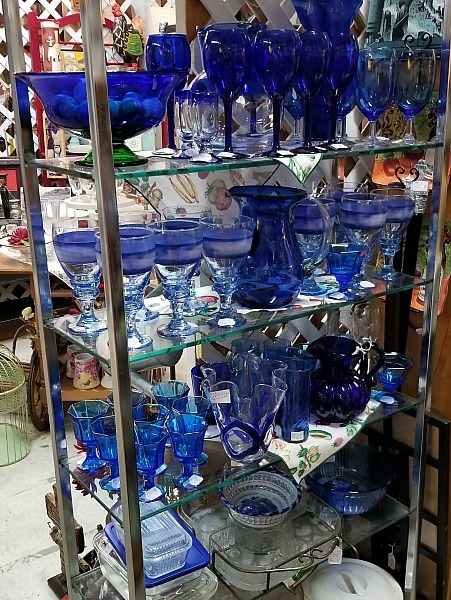 Gorgeous blue glass in all kinds of pieces. 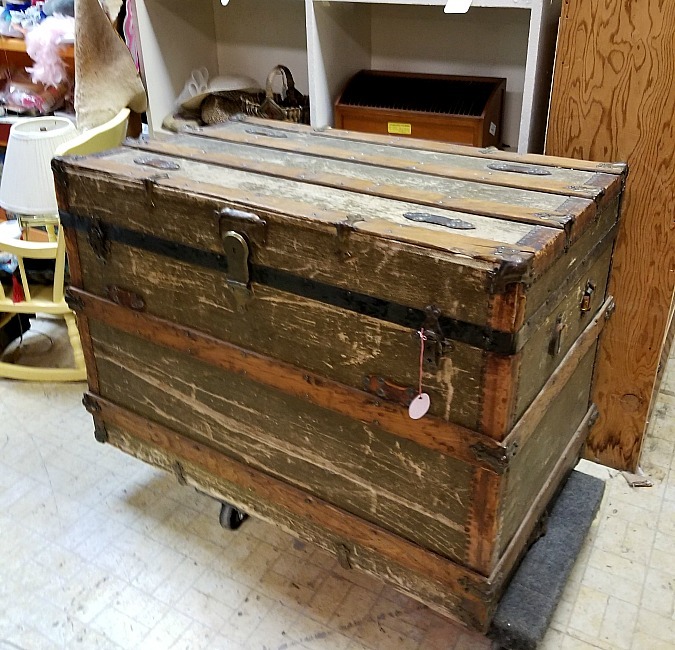 I have a trunk like this, scored years ago for $20 I use mine for my kids costumes! This was a beautiful piece with tons of character. You could use it for extra blankets, sheets or toys. 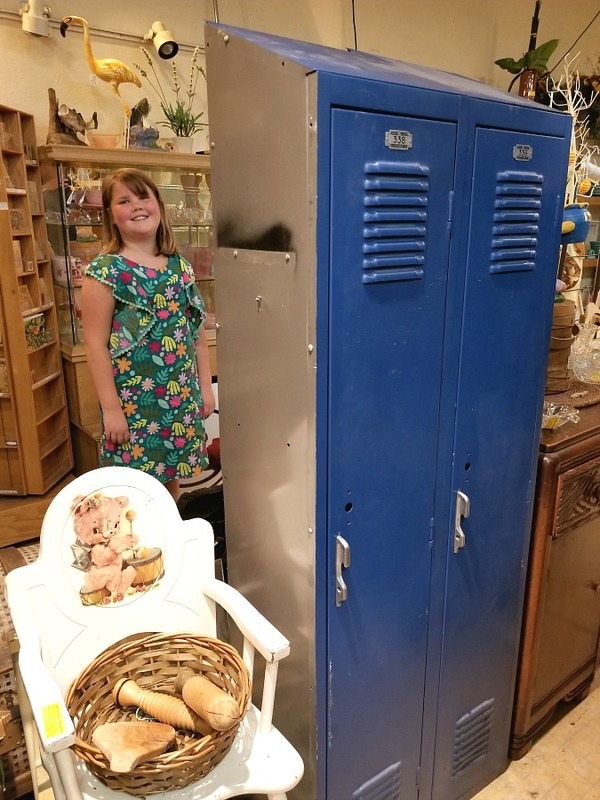 Who wouldn’t love some awesome lockers?! I sadly have nowhere to put them but they were pretty cool anyway! 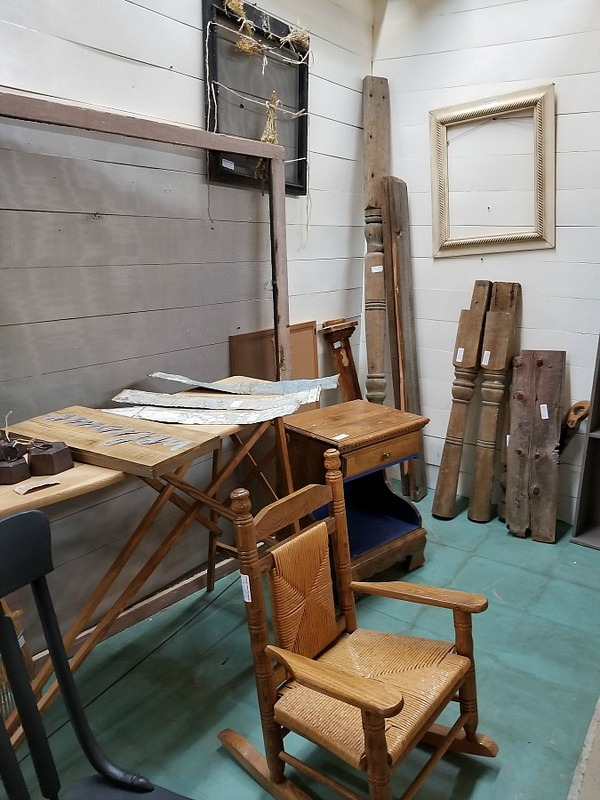 Some architectural salvage pieces here. Very cool pillars, you could even make table legs out of them. 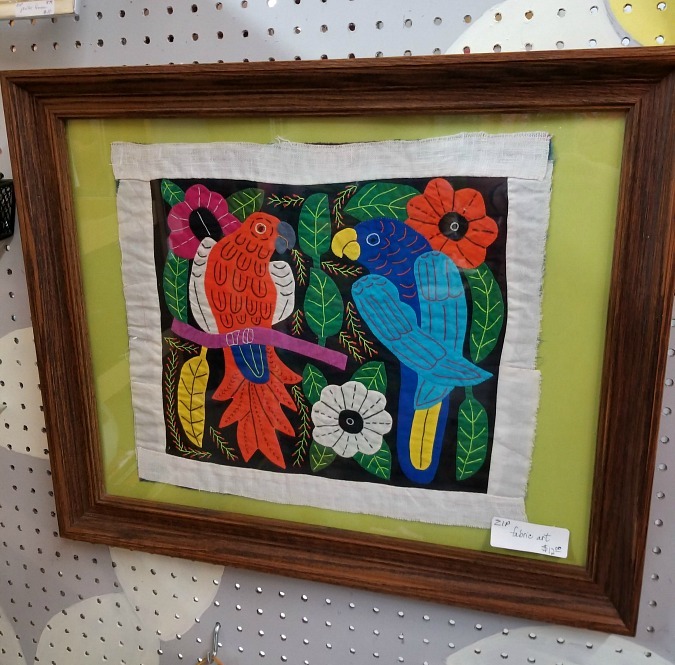 Or you could use that giant screen frame to make a pretty cool DIY art piece. Some of these glasses were handpainted and just beautiful! You never know what you are going to find! 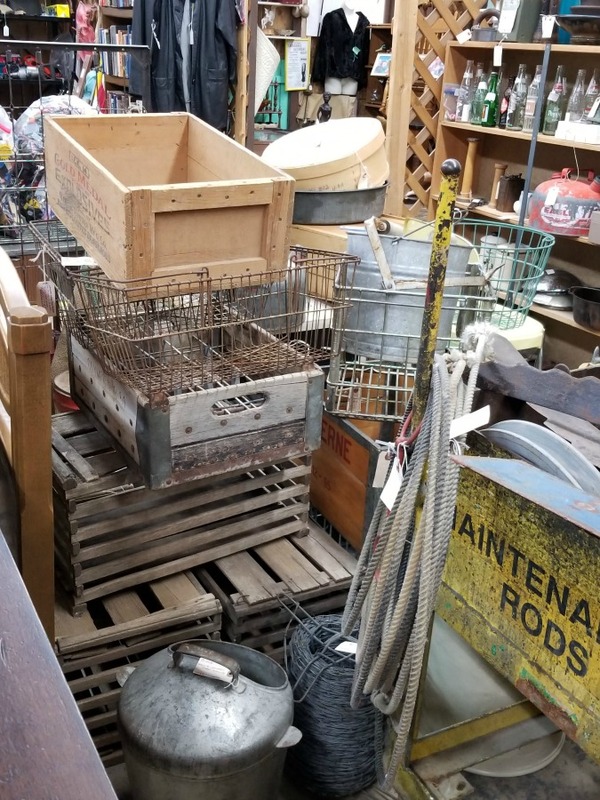 Just in this shot are plant stands, rugs, milk crates and croquet. Quite a mix amiright?! This was a very cool baby carrier! Sling it on the back with the baby securely in the leather cinched in and you are ready to go. I’m a sucker for elephants, I don’t know why but I just love em. 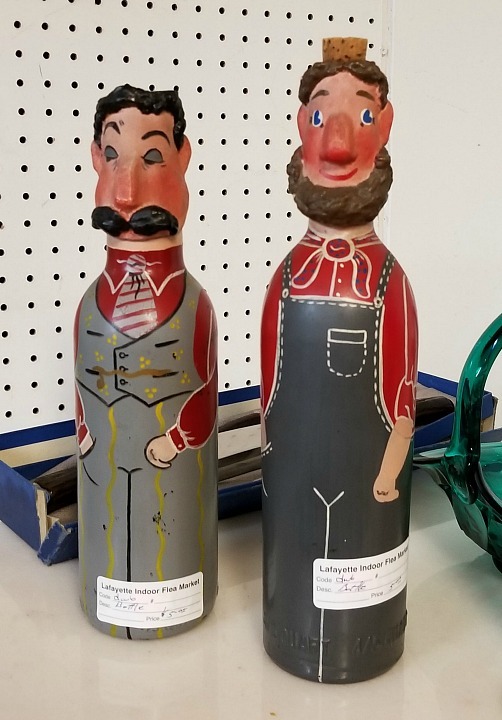 These 2 were vintage ceramic side tables that the booth seller found at a local estate sale. Look at the detail and the coloring! I may have to go back for one of these bad boys, eek! How about a visit to Japan? 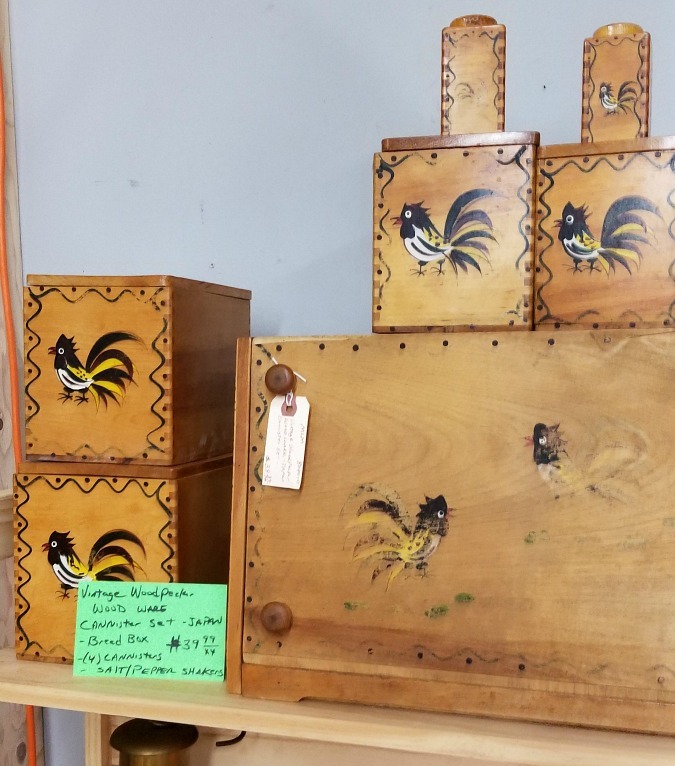 This is a set of painted wooden canisters! Aren’t they just lovely! You can never have enough cool storage. Lots of wooden and metal crates everywhere. Great for mittens and stray hats! 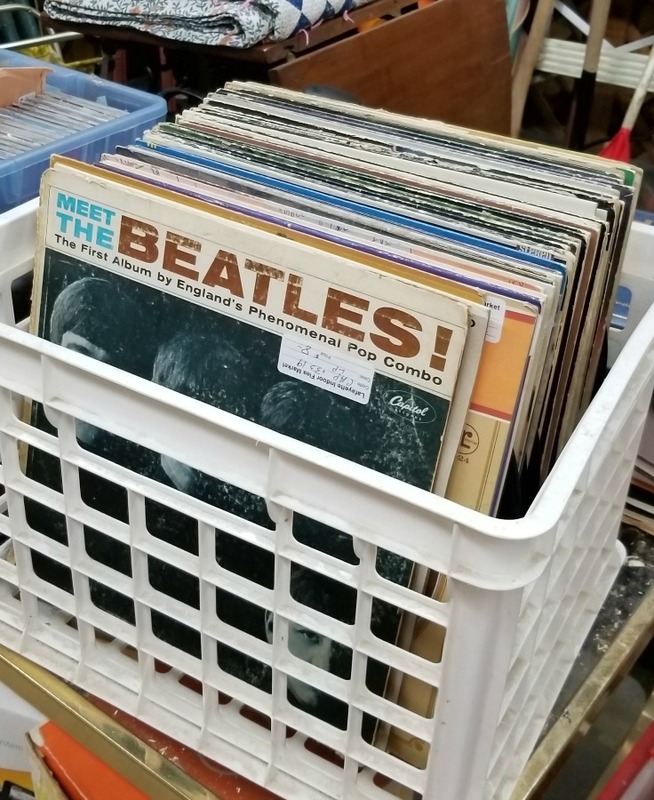 How about some records for the music lover? Tons of these too and at great prices. These 2. I literally laughed out loud when I saw these guys. How could you not? And I bought them! I plan on putting a flower in each of them. A little humor is always a good thing in the home. 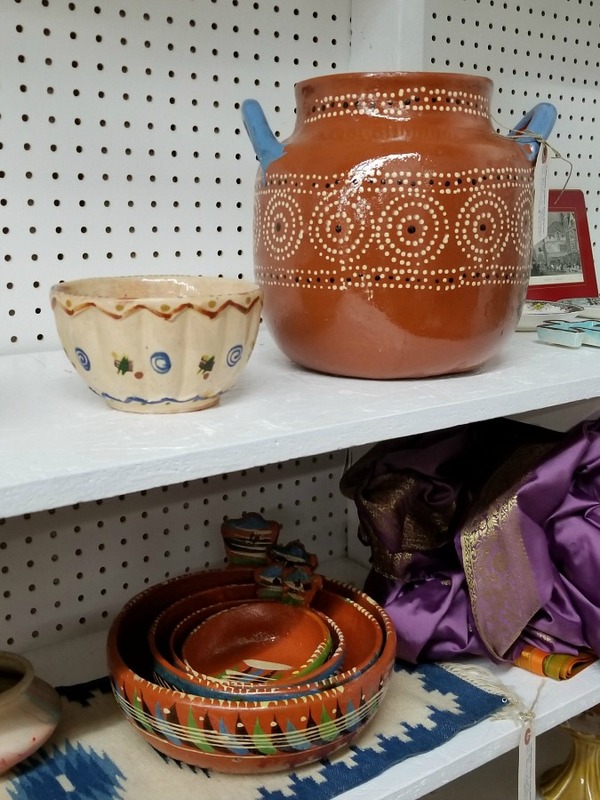 How about some handmade and handpainted mexican pottery? If I could have thought of a way to use these I would have brought them home. Aren’t they pretty? I’m a sucker for anything handmade. 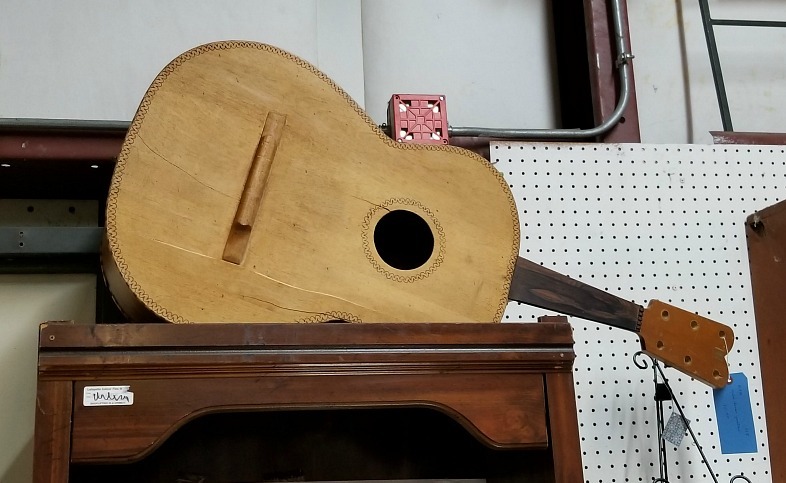 An old guitar body perfect for that music space or just for that super cool vibe. And at $10 you aren’t out much for a rockstar accent piece! 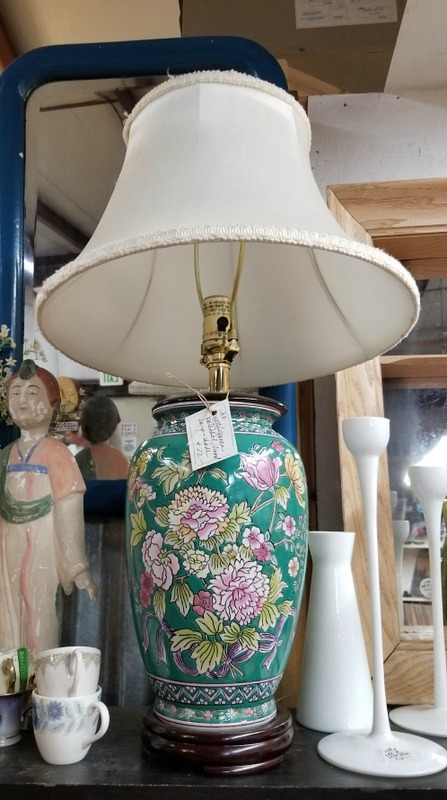 I loved the details and color on this lamp base. I would replace the shade with something sleek and modern to balance out the ornate base and maybe even paint the wood white. Either way the main piece of the body is beautiful. This was a beautiful indian piece. 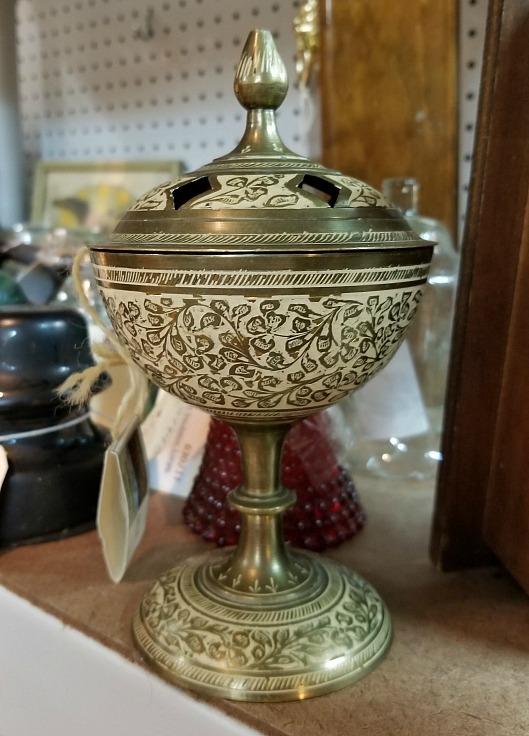 The top comes off so you can use it for trinkets or to burn incense. ***That’s a great tip! When shopping at the fleas if you are wondering about the pricing on something do a quick google search. 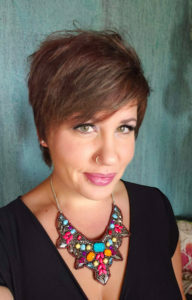 You will easily see how much similar items can be found online (etsy, ebay, chairish, etc) that often helps me decide whether it’s worth a purchase or not! 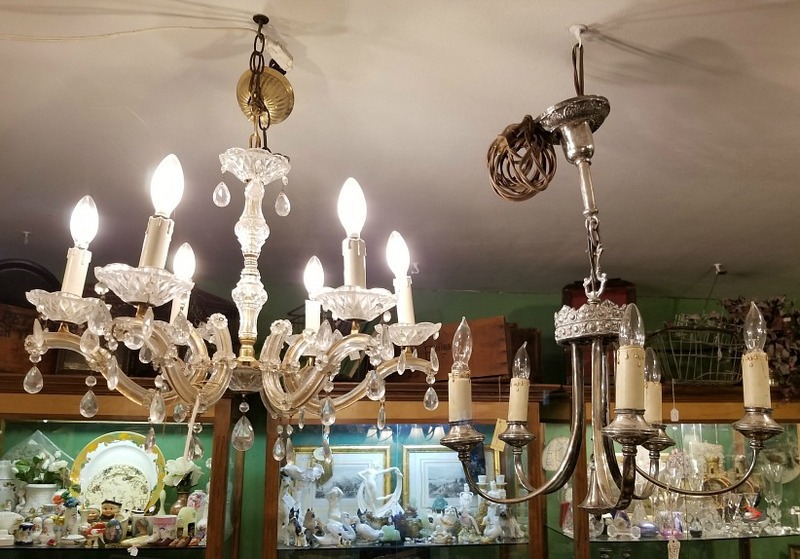 Beautiful vintage lighting of varying styles! I saw so many beautiful glass and brass chandeliers. 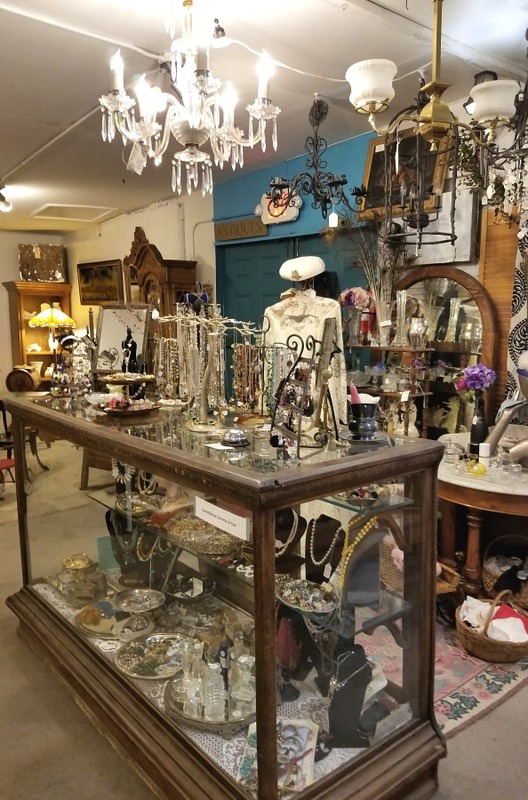 Costume jewelry, lots of fab vintage pieces can be found. Some for not much more than a song! I think this was some sort of water catcher that drained, see the spigot at the bottom? I loved it but didn’t know where I would use it. I got all heart eyed at the brass with the detailed etching at the top and the design of the bottom, it was just gorgeous. 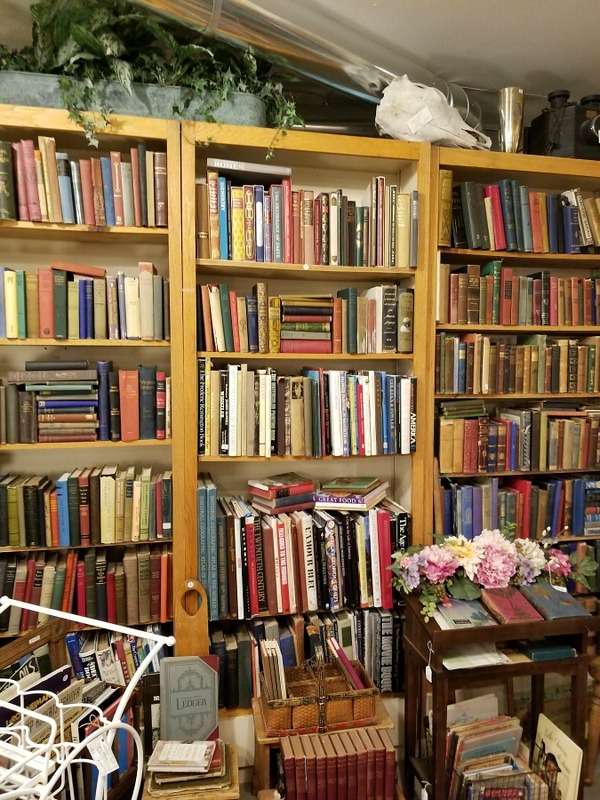 The one thing I collect (other than pillows) is awesome antique literature books. This wall had SO many good ones. I restrained the immense desire and snapped the picture and then ran away. If I didn’t I would have been there forever. A cool front shot of one of the shops. So much to see! An old doctor’s bag, a spinning wheel, a pitcher and a coat rack to name a few. 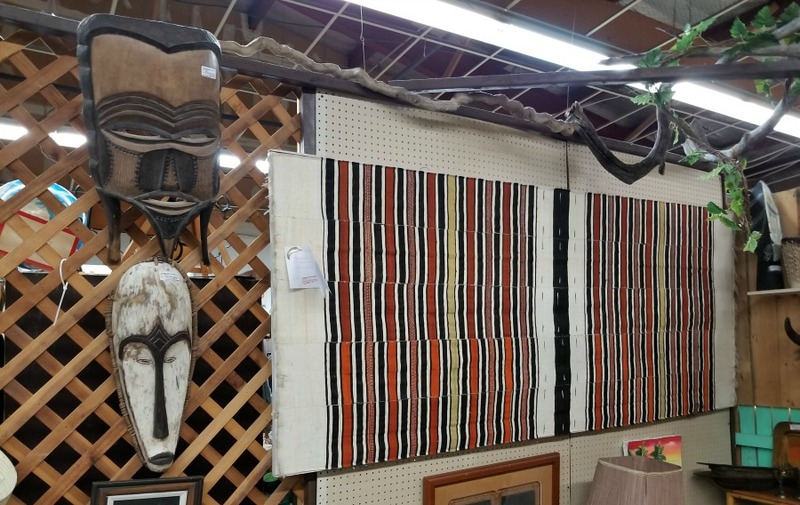 How about these african tribal masks and african wedding blanket? We almost bought one/both those masks but held off. I may be going back. 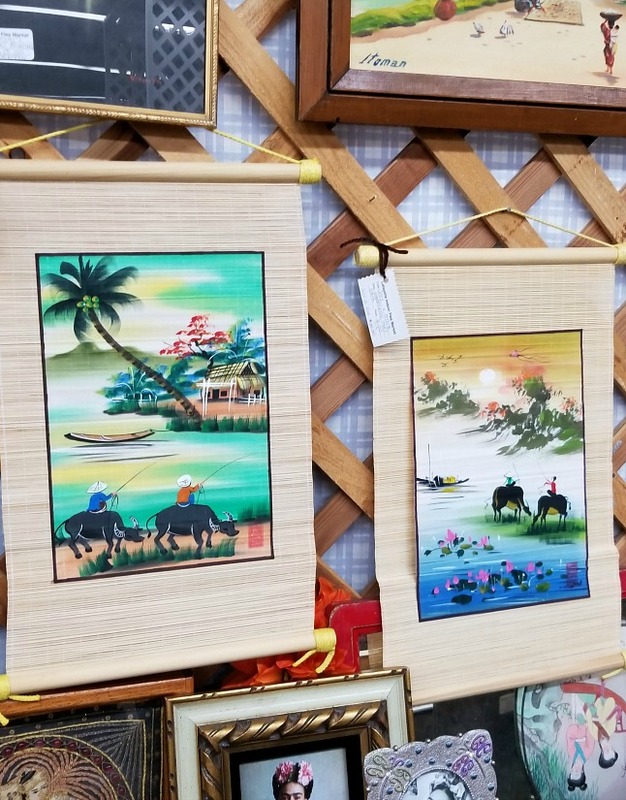 Flea markets are some of the best places to shop! 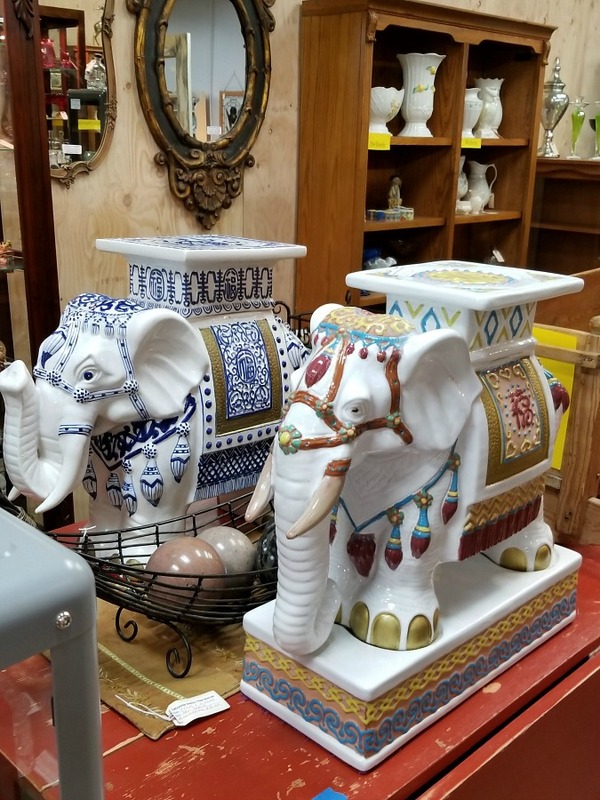 Always ask if the vendor is negotiable (I saved an extra 10% on the giraffe planter just by asking) the person at the counter can always call the vendor and ask about percentage discounts or present your offer. 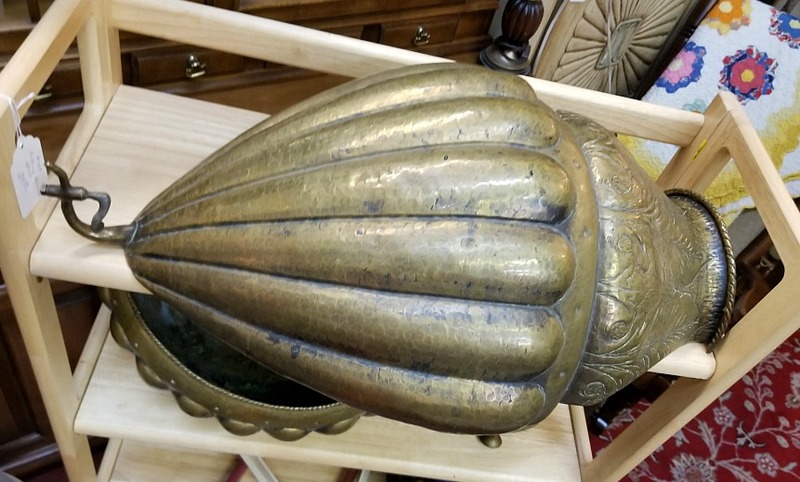 I LOVE the thrill of the hunt, never knowing what one of a kind pieces I might find and at bottom dollar prices. 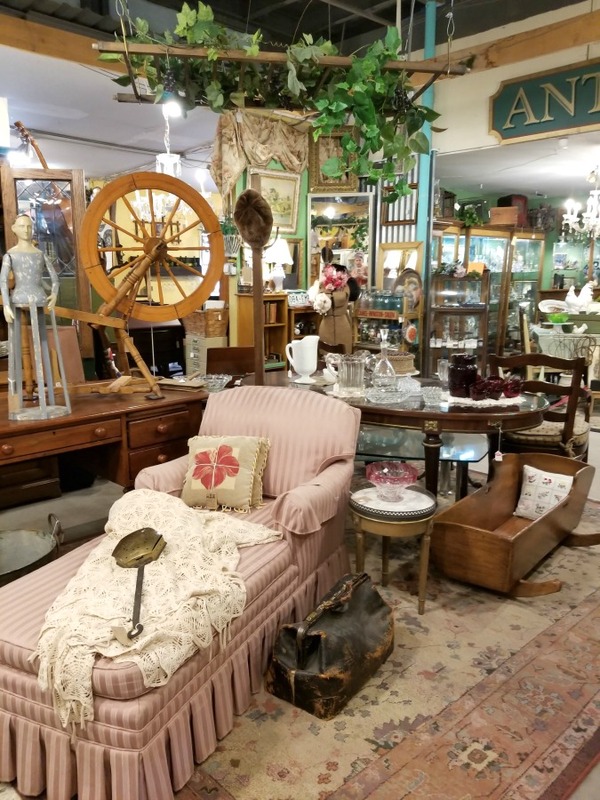 (check out my antiques at bottom dollar and good design doesn’t have to be expensive ) It’s the perfect place to look for those interesting personality driven pieces for your space. 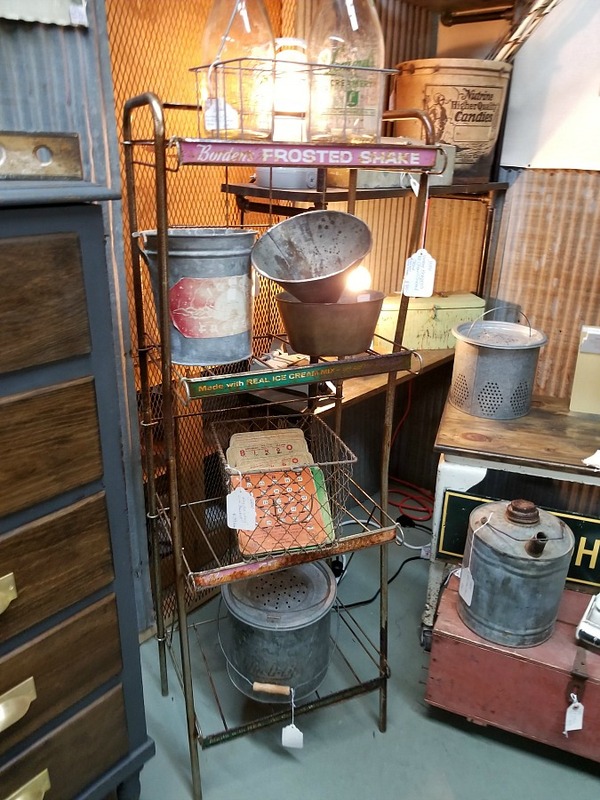 So give your local flea market a go or check out the markets at places you visit! 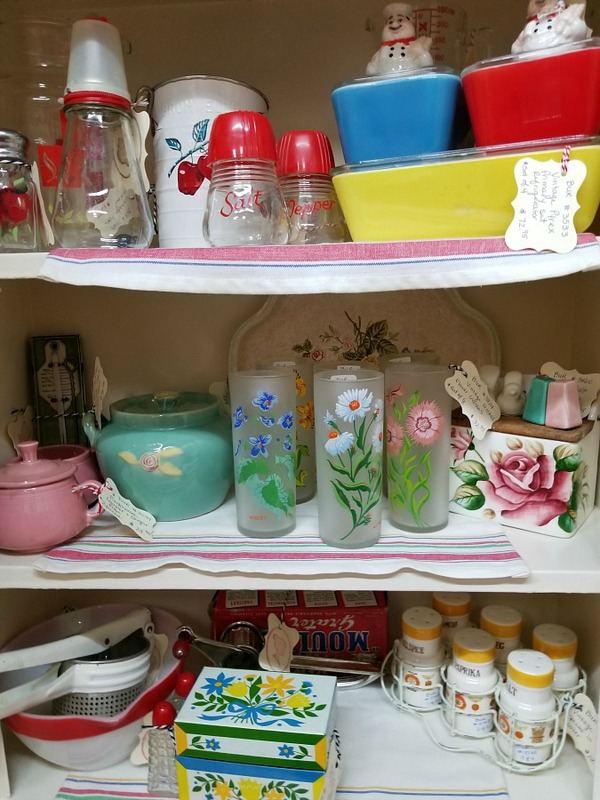 What are some of your fave finds at the fleas? Are you not a seasoned flea shopper yet? I always love to hear from ya! Hit me up in the comments below. And don’t forget to subscribe! (It’s in the sidebar!) You don’t want to miss a single thing over here! 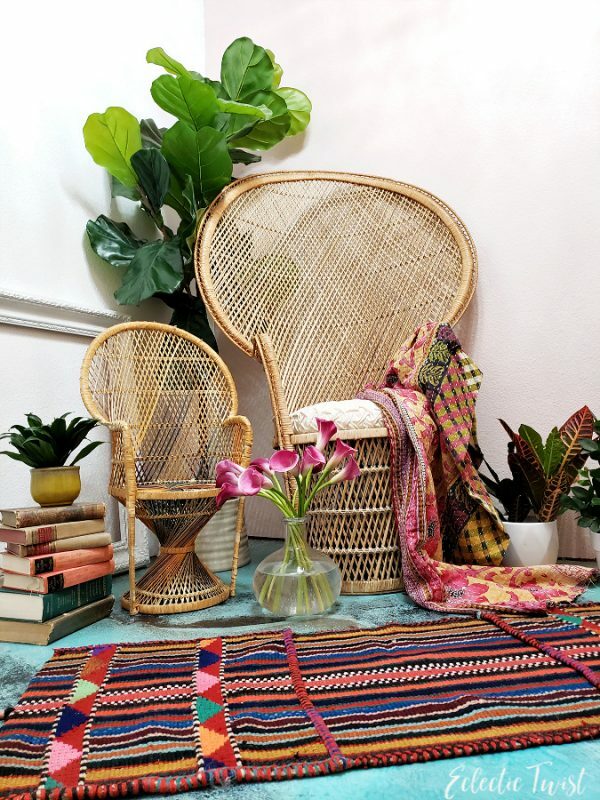 Things I’m Loving To Freshen Up Patio Decor!